I get it, landing your first job can be a daunting task. There are a lot of voices these days -- family, friends, teachers and "specialists" -- telling you what you need to do. The one voice you rarely get a chance to hear from is that of the employers themselves. The good news is they're eager to share. My parents gave me a lot in life, but when it came time for me to nail down my very first job, their involvement stopped after telling me of a dishwashing job at the local pizza place in Winnipeg. My, how things have changed for some of today's job applicants. In a recent survey, CFIB asked small business owners across Canada for their best advice for job seekers. Their response was overwhelming. We received nearly 4,500 comments filling 200 pages from entrepreneurs on what they're looking for from applicants. What surprised me the most was the healthy number of business owners who reported that candidates were not only bringing mom to the interview, but having her answer questions and speak on their behalf. A lean and clean resume, free of any spelling or grammatical errors, is a must. While a typo might be an innocent mistake, employers see it as carelessness that represents a lack of attention to detail that may turn them off an employee. After all, it's hard to convince your potential boss that you pay attention to detial when you misspell "detail." There's no need to hide a lack of experience on your resume -- small businesses are frequently the place where young people will land their first job -- but try to show enthusiasm to learn and succeed at the position you're applying for. A little passion goes a long way and it often counts just as much as education or experience. Employers want you to be honest about your skills. Provide short, truthful explanations for employment gaps or sudden departures, and avoid slamming your previous employers in interviews. While we most often look to big cities as employment hubs, consider looking in smaller towns and communities, as well. Entry-level jobs in small towns offer the same experience and opportunity to grow skills, and there is often less competition for positions. Smaller communities also offer a more affordable cost of living. We're lucky enough to live in a time when technology makes our lives easier. 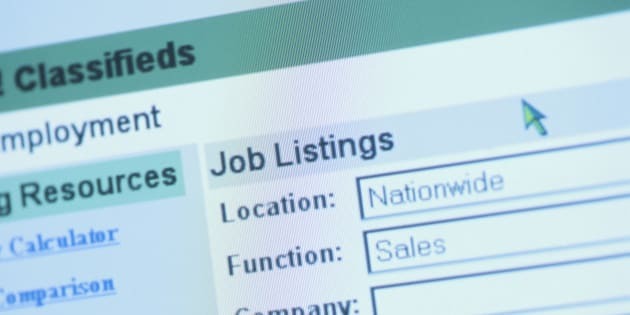 But just because it's easy to apply for a job online, doesn't always mean it's better. In fact, small business owners encourage job-seekers to go the old-fashioned route and drop resumes off in person. Meeting your potential employer allows you to make a strong first impression that shows you're serious about the position you're applying for. Employers are people -- they don't bite. And speaking of technology, social media can be an effective networking and information-gathering tool during your job hunt. Networking, both online and in-person, can provide you with a major advantage in finding a job. Small businesses owners prefer referrals and recommendations from someone they know and trust when seeking out a new employee. When it comes to social media, though, remember that employers use it too, so be careful what you post and where you post it. It may affect your prospects. As a job-seeker, you need to dress for the job you want. Your appearance makes an impression on employers. It doesn't necessarily mean you need wear a suit and a tie to an interview for a restaurant position, but showing up to an application drop-off or job interview looking crisp makes a strong impression. Wear something appropriate to the nature of the work you're applying for, and leave the PJs and flip-flops at home. When you're in the interview, remember to make eye contact with the interviewer, shake hands when you meet them and as you leave, and speak calmly and confidently. And yes, it should go without saying, don't bring mom. It takes helicopter parenting to a whole new level, and it's not exactly what employers have in mind when they ask for references. If you want the job, tell mom you love her, but ask her to stay home. Nearly nine in 10 small business owners are having trouble finding qualified applicants. While 60% of Canadians work in a small or medium-sized business, candidates often overlook small firms in their initial job search in favour of the big banks, government or names they know. While wages and benefits may be more modest in smaller firms, the amount of experience and variety one gets is hard to beat. There are over 1.1 million small firms with paid staff. Over 350,000 positions have been sitting vacant in small firms for more than four months. Make sure you don't cut your job search short by ignoring the small manufacturer, nearby farm or local distributor. And for help understanding where small business owners' heads are at when meeting jobseekers, check out some great advice from the horses' mouths.